Elderberrry is a shrub that has been used medicinally for centuries. Sambucus nigra, or black elderberry bush, is the version most commonly used to make syrup and lozenges. 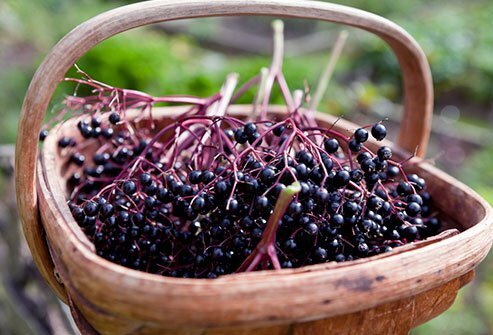 Extracts of elderberry have antiviral, anticancer, and anti-inflammatory properties. Elderberry is also high in flavonoids. People take elderberry syrup as a remedy for colds, flus, and bacterial sinus infections. The plant medicine works by reducing swelling in mucus membranes. Some studies suggest elderberry extract reduces the duration of the flu. Elderberry benefits are numerous, however, the remedy may interact with certain prescription medications. Always check with your doctor or pharmacist prior to adding any new remedy to your regimen. Elderberry may interact with the following medications. Diurectics: Elderberry is a diuretic so taking it with a prescription diuretic will increase the effects. Laxatives: Elderberry has laxative effects, so it should not be taking with other laxative mediations. Steroids: Elderberry stimulates the immune system so it should not be taken with steroids and other medications designed to suppress the immune system. People who are on immunosuppressive drugs after having undergone organ transplantation should not take elderberry. Chemotherapy: Elderberry may interfere with chemotherapy and should not be taken with it. Diabetes medications: Elderberry lowers blood sugar so it should not be taken with medications that treat diabetes. Theophylline: Elderberry may reduce blood levels of this medication prescribed to treat asthma and respiratory conditions. Wondering how to boost your immune system? Eat more button mushrooms. Mushrooms are high in selenium and B vitamins like riboflavin and niacin. These minerals and vitamins are necessary for the immune system to work in tip top form. 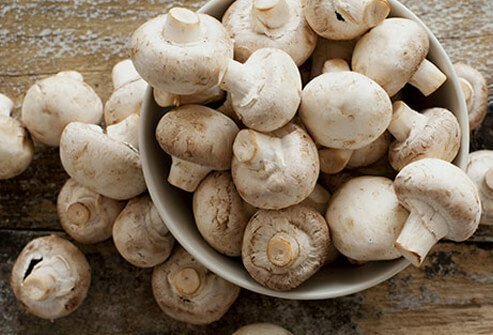 Mushrooms are also high in polysaccharides, sugar-like molecules that boost immune function. Mushrooms have a savory quality that can enhance the flavor of many dishes. Not quite sure how to eat mushrooms? Try the following mouth-watering ways to serve up these tasty fungi. Sautéing, grilling, and roasting will help bring out the rich, savory flavor of mushrooms. Mushrooms make a great addition to scrambled eggs and omelets. Toss sliced mushrooms into soups, salads, or lasagna. Enjoy Portobello mushroom tops in veggie burgers. Stuffed mushrooms make tasty hors d’oeuvres. 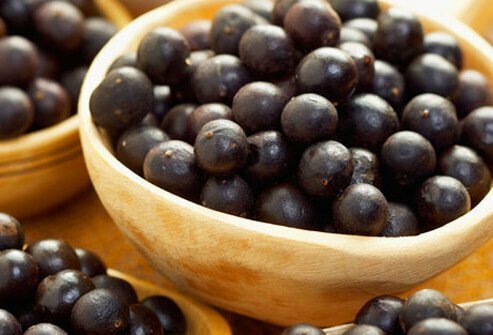 Acai berry is a black-purple fruit that is derived from the acai palm tree in Brazil, Trinidad, and certain parts of South America. The fruit is high in anthocyanins. These flavonoid molecules are very potent antioxidants. They combat oxidative stress in the body by mopping up free radicals. Antioxidants are credited with boosting immunity and lowering inflammation in the body. There’s never been a better time to enjoy an acai bowl! Oysters are a nutritional powerhouse from the sea. 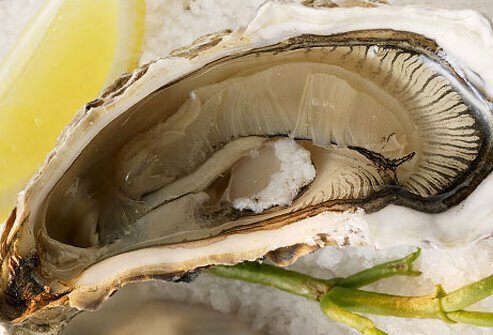 One 3-ounce serving of Pacific oysters provides 190% of the daily value of selenium, 45% of the daily value of iron, and 20% of the daily value of vitamin C, all for just 140 calories. One 3-ounce serving of oysters contains 16 grams of high-quality protein. The seafood also provides zinc and vitamin A. These vitamins and minerals in oysters are critical for proper immune function. Watermelon is an immune-boosting fruit. 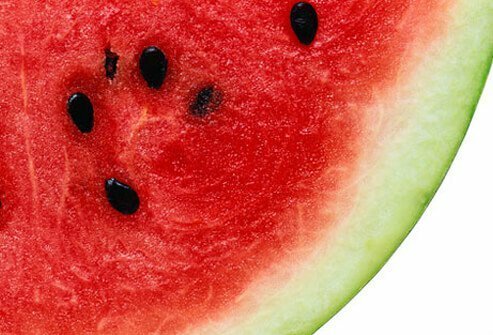 One 2-cup serving of watermelon has 270 mg of potassium, 30% of the daily value of vitamin A, and 25% of the value of vitamin C. Calories in watermelon aren’t much at all. One 2-cup serving of watermelon has just 80 calories. Watermelon also provides vitamin B6 and glutathione. The body needs these vitamins, nutrients, and compounds like glutathione for proper immune function. Watermelon slices are the most common way to enjoy this fruit. Here are a few creative ways to eat watermelon. Make a fruit salad with watermelon and top it with a lemon, honey, and mint dressing. Have a tall glass of watermelon strawberry lemonade. Snack on arugula watermelon salad topped with feta cheese. Cool off with watermelon, ginger, lime pops. Wheat germ is the innermost part of the wheat kernel. It is the most nutrient rich part of the grain. The germ is rich in B vitamins, zinc, and vitamin E. Sprinkle wheat germ on top of yogurt or cereal or add it to a shake. Wheat germ makes an easy addition to bump up the nutrition in baked goods. Substitute wheat germ for a bit of white flour in recipes to get some extra vitamins and minerals. What Do You Do with Wheat Germ? Most people know wheat germ makes a tasty topping sprinkled on fruit, yogurt, or cereal, but what else can you do with it? 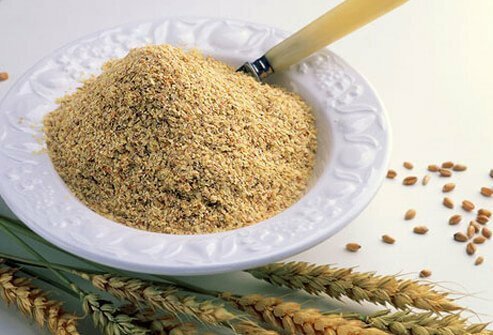 Wheat germ is a versatile food that can be used in a variety of recipes. Combine wheat germ, herbs, and spices to make a breaded coating for baked chicken and fish. Use wheat germ instead of breadcrumbs in meatloaf and meatballs. Sprinkle wheat germ on top of baked apple crumble and similar desserts. Nutrition guidelines recommend adults consume 3 servings of dairy products per day. Low-fat yogurt provides 11 grams of protein, 250 calories, and almost 400 mg of calcium per 8-ounce serving. Low-fat yogurt can also help meet your daily requirement for vitamin B12, vitamin D, and vitamin B2 (riboflavin). Adequate levels of vitamin D and other nutrients are necessary for robust immune function. Yogurt is rich in probiotics, including Lactobacillus acidophilus, Lactobacillus casei, and Bifidus. These strains boost immune function and may even help reduce both the length and severity of colds. Beneficial gut flora are needed for proper digestion, detoxification, and immune function. Probiotics even help reduce eczema symptoms in babies. Most people eat yogurt straight out of the cup, but there are many other ways to enjoy this immune-boosting food. Mix yogurt, fruit juice, and a bit of honey. Pour into molds and freeze to make yogurt pops. Enjoy cucumber salad with yogurt dill dressing. Make coleslaw with yogurt instead of mayonnaise. Serve fish topped with minted yogurt sauce. Use yogurt in creamy soup recipes to give them a tart kick. Spinach gets top billing as a superfood thanks to its high content of folate, vitamin A, vitamin C, fiber, magnesium, and iron. 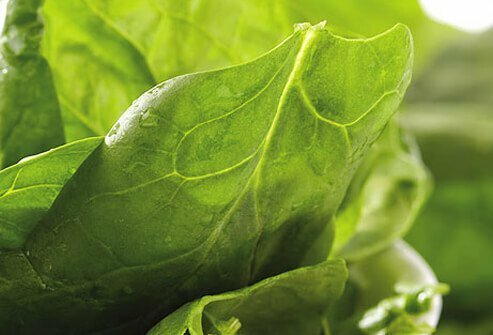 The nutrients in spinach boost immune function and provide the body with necessary nutrients for cell division and DNA repair. Reap maximum benefits from spinach by eating it raw or lightly cooked to preserve nutrients. spinach and cheese stuffed pasta shells. About half the population in the United States drinks tea regularly. Antioxidants in tea called polyphenols and flavonoids are credited with boosting immune function. These compounds may also reduce the risk of heart disease. 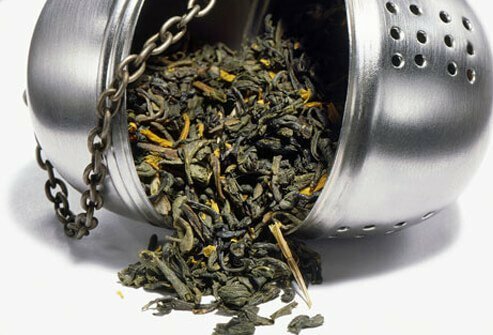 Drinking green tea favorably affects blood lipids, increasing good HDL cholesterol and decreasing LDL bad cholesterol, triglycerides, and total cholesterol. Tea is not just confined to be enjoyed by the cup. Amazingly, you can use teas in many of your favorite recipes. Think outside the cup! Add powdered tea to softened butter to make a savory spread. Cook grains and noodles in tea instead of stock. Use powdered tea as a rub to infuse meats with unexpected flavor. 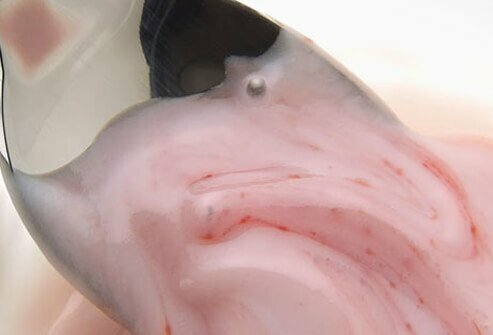 Make tea infused dairy to use in cream sauces for pasta and rice dishes. Add powdered tea to shortbread dough to make tea cookies. One medium sweet potato packs a whopping 120% of the daily value of vitamin A and 30% of the daily value of vitamin C, all for just 100 calories. These vitamins are crucial for immune function and great for your skin. 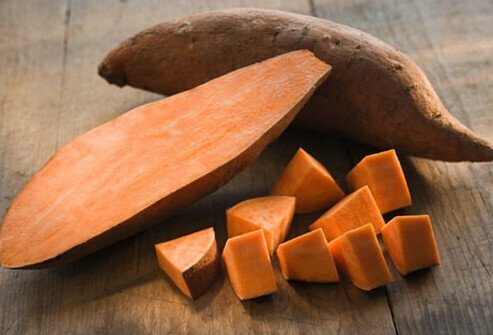 Sweet potatoes are a cholesterol-free and fat-free food, so you get all the helpful, immune-boosting vitamins without the guilt. Sweet potatoes serve up a healthy portion of fiber, too. The deep, rich color of sweet potatoes reflects the high vitamin A content. These bright, orange root veggies can be whipped up in a variety of ways. Try these sweet potato dishes on for size. Broccoli is a nutrient-packed powerhouse to support your immune system. One cup of broccoli provides as much vitamin C as an orange. The veggie is also high in beta-carotene, potassium, magnesium, zinc, and iron. Broccoli supplies an array of B vitamins (B1, B2, B3, and B6). Together, these vitamins and minerals help the immune system to run in top form. 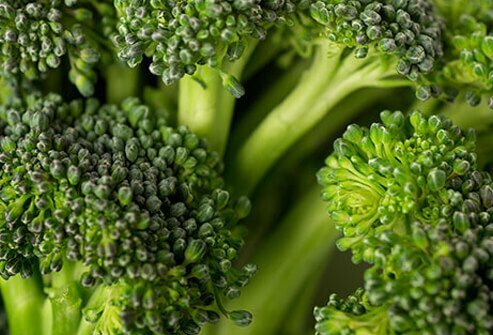 Another healthy compound offered up by broccoli: glutathione, the master antioxidant in the body. Not a fan of broccoli? Some people love it, some hate it, but broccoli is such a nutritious vegetable, it makes sense to find a way to eat more of it. Broccoli can be prepared in ways that are so tasty, you’ll crave it! Try the following broccoli dishes on for size. People have praised garlic for ages for its immune boosting properties. Garlic has antibacterial, antiviral, and anti-fungal properties. The bulbs are rich in antioxidants that quench free radicals that play a role in Alzheimer’s disease, heart disease, cancers, and other conditions. In one study, people who took garlic supplements during cold season caught fewer colds than those who took placebo pills. If you do catch a cold, garlic can shorten the duration of it. If you do try garlic supplements, be mindful that the one you choose contains the active ingredients contained in real garlic. Garlic boosts the portion of the immune system that is tasked with fighting viruses and cancer. Several studies have documented a link between garlic use and reduced rates of many different types of cancers. People who regularly consume lots of raw or cooked garlic have 30% to 35% fewer colorectal cancers than those who do not eat the allum. 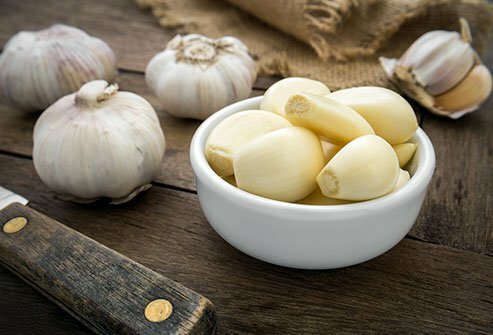 In one small study of people who had inoperable pancreatic, colorectal, or liver cancers, immune function was improved when participants took aged garlic extract for 6 months. Miso soup has been a staple in Japanese cuisine for centuries. Miso is a salty paste made from fermented soybeans. It is rich in probiotics that are beneficial for gastrointestinal health and boosting the immune system. A lack of beneficial bacteria or an imbalance of bacteria in the GI tract is associated with a variety of medical conditions including irritable bowel syndrome (IBS), food allergies, gastroenteritis, inflammatory bowel disease (ulcerative colitis and Crohn’s disease), and even certain kinds of cancers. Sipping a cup of miso soup is a great way to introduce beneficial food-based probiotics into the GI tract. 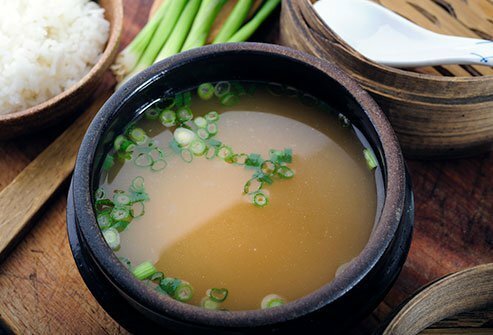 Beneficial microorganisms found in miso soup and other fermented foods perform a variety of necessary functions in the GI tract. They synthesize vitamins and amino acids. They produce short-chain fatty acids (SCFAs) that the cells lining the GI tract use for fuel. The probiotics establish a healthy balance of flora in the gastrointestinal tract, protecting against pathogenic strains that try to take hold. About 70% of the immune system lies in the gut. Healthy, balanced gut flora makes for a strong immune system. Mom was right to make a pot of homemade chicken soup when you got sick. It turns out there are very real, scientific reasons chicken soup helps you get over a cold more quickly. When cold viruses invade tissues of the upper respiratory tract, the body responds by triggering inflammation. This inflammation signals white blood cells to move to the area and stimulates the production of mucus. 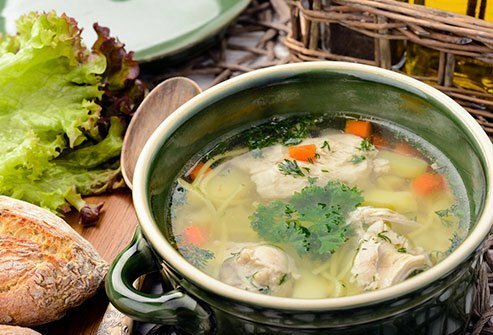 Ingredients in chicken soup appear to halt the movement of white blood cells, thereby decreasing mucus associated with colds. Too sick to cook from scratch? Canned chicken soup can ease cold symptoms, too. To get over a cold more quickly, sip lots of warm liquids like chicken soup, ginger tea, and warm water with lemon. Staying hydrated helps thin mucus secretions and flushes the virus out of your body. Taking zinc lozenges, syrup, or tablets within 24 hours of exhibiting cold symptoms can help reduce the duration of a cold. Taking vitamin C supplements throughout cold season may not keep you from catching a cold, but it may help ease symptoms if you do catch one. 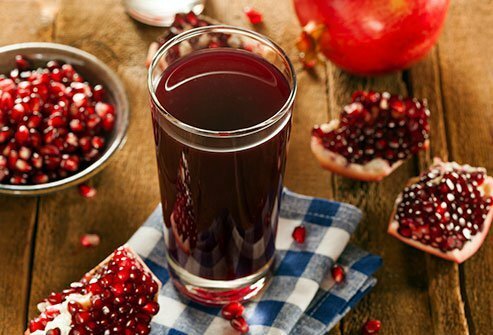 Beneficial compounds in pomegranate extract have been found in lab studies to inhibit the growth of harmful types of bacteria including E coli O157:H7, Salmonella, Yersinia, Shigella, Listeria, Clostridium, Staphylococcus aureus, and other organisms. There’s also evidence pomegranate compounds inhibit the growth of bacteria in the mouth that contribute to periodontal disease, plaque buildup, and gingivitis. Pomegranate extracts have antiviral properties against the flu, herpes, and other viruses. In addition to fighting bad viruses and bacteria, there is evidence that pomegranate extracts promote the growth of beneficial gut flora that boosts the immune system including Bifidobacterium and Lactobacillus. Most people enjoy pomegranate by eating the jewel-colored seeds after cutting open the fruit. There are many other ways to indulge in pomegranate. Add tart, colorful pomegranate seeds to fruit salad. Cool down with pomegranate lemonade on hot summer days. Make a lovely salad with watercress, endive, blood oranges, and pomegranate seeds. Mix pomegranate seeds into wild rice pilaf. Use pomegranate seeds to make a tasty relish to top meats. 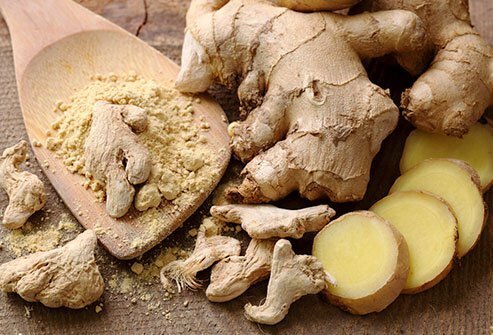 Antioxidant compounds in ginger root have potent anti-inflammatory and immune-boosting properties. Normal metabolic processes in the body, infections, and toxins all contribute to the production of free radicals resulting in oxidative stress. Antioxidants in foods like ginger quench free radicals and help guard against arthritis, cancer, neurodegenerative disorders, and may other conditions. Grate some fresh ginger and steep it in hot water to make tea. Fresh grated ginger also makes a great addition to healthy stir fried veggies. Ginger has proven antibacterial and antiviral properties. What can you do with ginger root? A lot! Here are a few ideas to add more ginger to your menu. Add ginger to hot chocolate for an unexpected kick. Grated ginger makes a lovely addition to carrot cake or spice muffins. Make a ginger orange glaze to enjoy over salmon filets. Add ginger to marinades for meats. Enjoy honey ginger chicken wings. Maximizing the health of your immune system is easy when you know which foods to eat. Eat these 16 immune-boosting foods to keep your immune system in the topmost form. University of Maryland Medical Center: "Elderberry"
Fruits & Veggies More Matters: "Top 10 Ways to Enjoy Mushrooms"
Nutrition Today, vol 49, 2014: "Mushrooms – Biologically Distinct and Nutritionally Unique"
American Journal of Clinical Nutrition, vol 104, 2016: "Consumption of a Flavonoid-Rich Acai Meal Is Associated with Acute Improvements in Vascular Function and a Reduction in Total Oxidative Status in Healthy Overweight Men"
USDA National Nutrient Database for Standard Reference: "Crude Wheat Germ"
Dairy Council of California: "Yogurt Nutrition"
Fruits & Veggies More Matters: "Spinach. Nutrition. Selection. Storage." EatRight.org: "Health Benefits of Tea"
Fruits & Veggies More Matters: "Sweet Potato: Nutrition. Selection. Storage." Dairy Council of California: "Health Benefits of Broccoli"
University of Maryland Medical Center: "Garlic"
Nutrition in Clinical Care: "Probiotics and Medical Nutrition Therapy"
Chest: "Chicken Soup Inhibits Neurotrophil Chemotaxis In Vitro"
National Center for Complementary and Integrative Health: "5 Tips: Natural Products for the Flu and Colds: What Does the Science Say?" Evidence-Based Complementary and Alternative Medicine: "The Pomegranate: Effects on Bacteria and Viruses That Influence Human Health"
International Journal of Preventive Medicine: "Anti-Oxidative and Anti-Inflammatory Effects of Ginger in Health and Physical Activity: Review of the Current Evidence"